Superchips has launched an ECU remap for the Astra VXR which adds 23PS and an extra 61Nm of torque along with sharper throttle response, while retaining all the Vauxhall factory electronic failsafes. This means the Astra VXR will now produce 302PS and although there's no official 0-62mph time it should be even quicker than the standard car's time of 5.8 seconds. Thanks to Superchips Bluefin handset, owners can change the car's performance in minutes. The plug-and-go system doesn't require any technical know-how plus it lets you alter the car back to the factory ECU settings when desired. 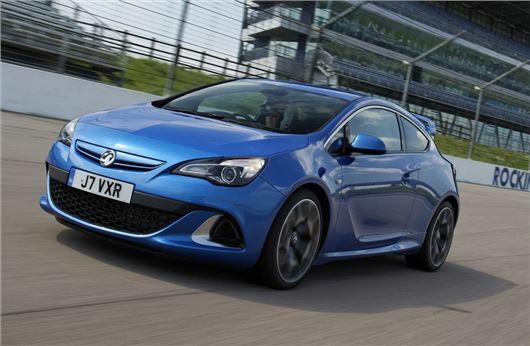 It costs £455 and works on any Astra GTC VXR 2.0T built from March 2012 onwards. Alternatively, owners can have the remap installed at any of the 80 UK Superchips dealers, using the vSpire system, which is cheaper at £365. A Stage 2 version of the ECU remap is also available, with the calibration tailored to suit Astra GTC VXR 2.0T models fitted with a readily available free flowing aftermarket exhaust system and sports catalyst. The Stage 2 remap adds 32PS and 75Nm of torque.